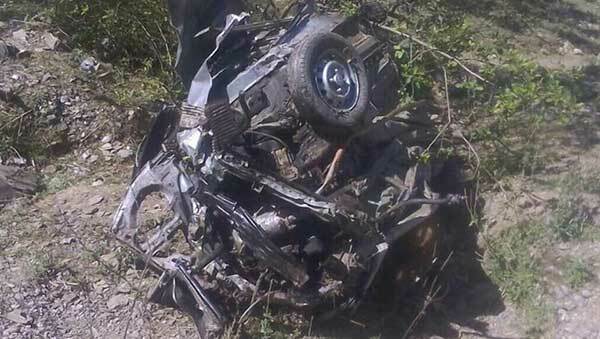 Six persons were killed in a car accident, when the car fell down a deep gorge in Nerwa, about 100 km from Shimla late on Monday night. The car was en-route from Kuthar to Manahu in Chopal region. All six passengers died on the spot. The bodies of the deceased were extricated by Police and locals. Shimla superintendent of police(SP) DW Negi said the cause of accident is yet to be ascertained and investigation has been started. Five of six deceased have been identified as Mohar Singh (54), Balwant Singh(37) Kanwar Singh(45), Surat Singh (40), and Vanshi Lal (36)- all were resident of Tikari village of Chopal.